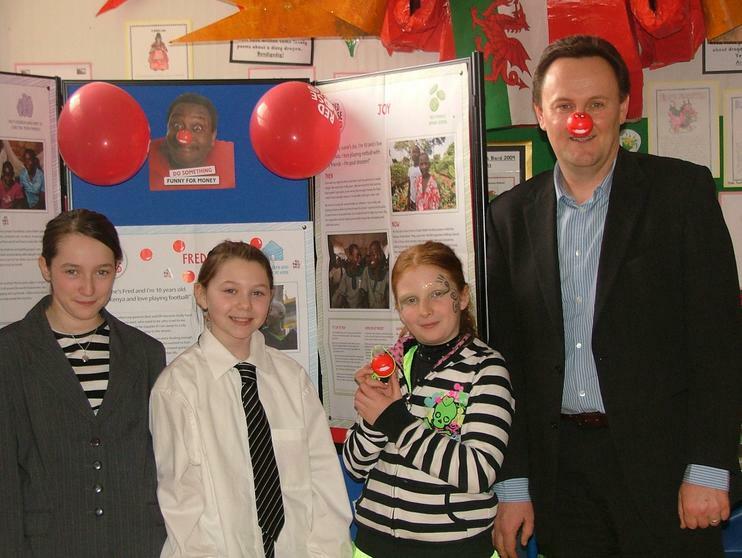 It was whilst we were celebrating red Nose Day 2009 on Friday 13th March that the Children’s Commissioner for Wales came in to meet some pupils from our Reporters Club and answer some questions. INVESTIGATE we asked our friends & Parents what questions they wanted asking, sadly most did not know who or whatthe Children's Commissioner was, so that became the second question. 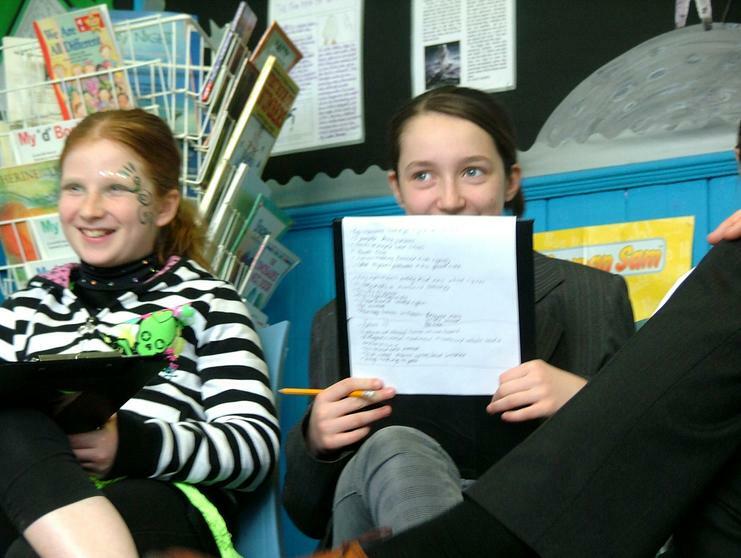 We looked online at the Children Commissioner for Wales Website and reports online. The role of the commissioner is to promote and protect the rights and welfare of children and young people. We found out that Norway was the first country to have a Children's Commissioner way back in 1981. But Wales was the first in the UK to have one, Peter Clarke took up the post of Children’s Commissioner for Wales on 1 March 2001 for a seven year term, but sadly died in January 2007. 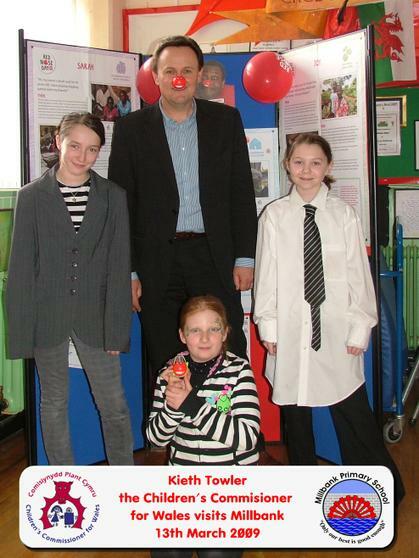 Keith took up the post on the 1 March 2008 and has been very busy. We gathered about 24 questions and then decided which of those to ask. 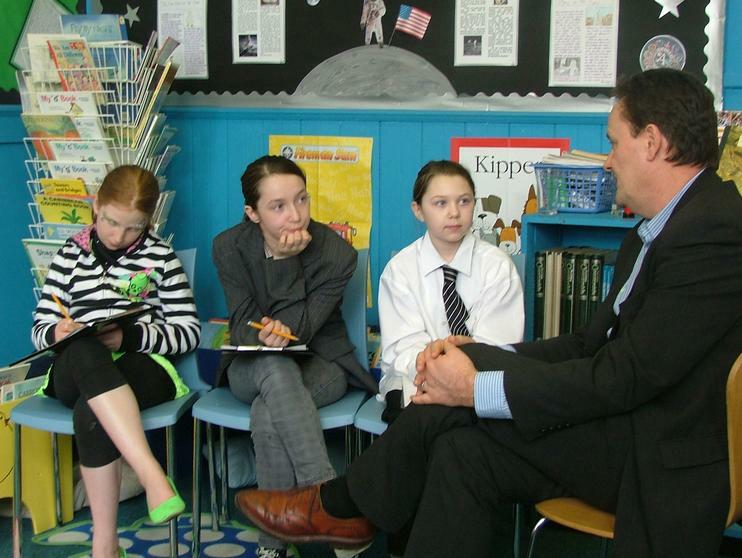 Asking questions is easy but listening, understanding and recording the answers is trickier. This is what we had written as a record of our interview. 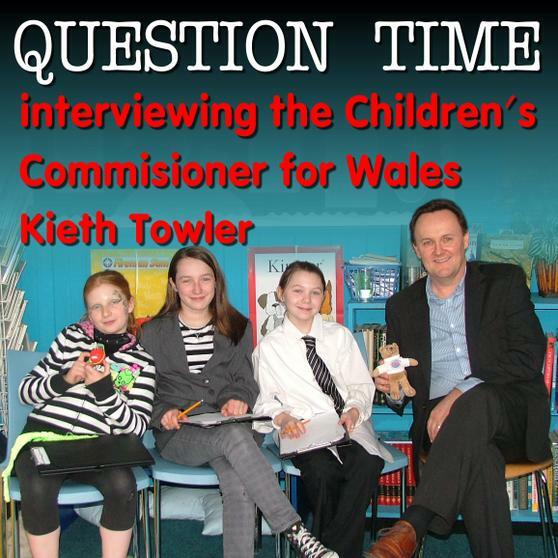 1).How did you get to be the Children’s Commissioner for Wales? I had to apply; I saw the post after it was advertised across Wales. 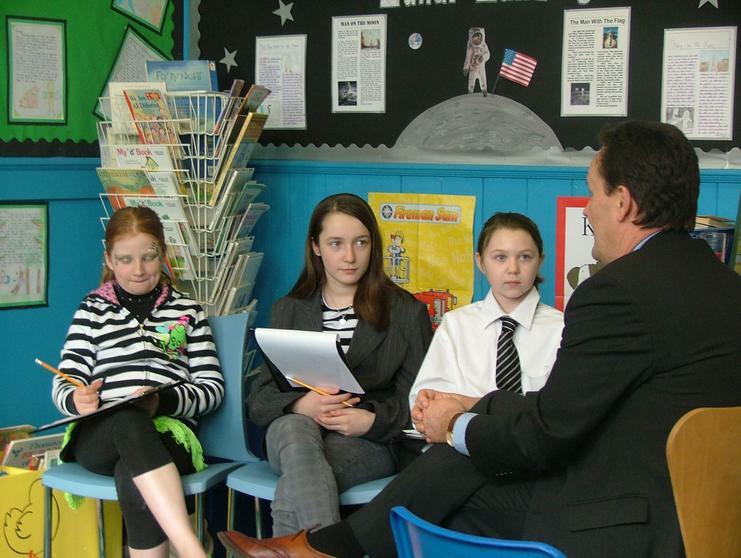 Eventually I had to go through two interviews; the first was with a group of children aged 11-18. 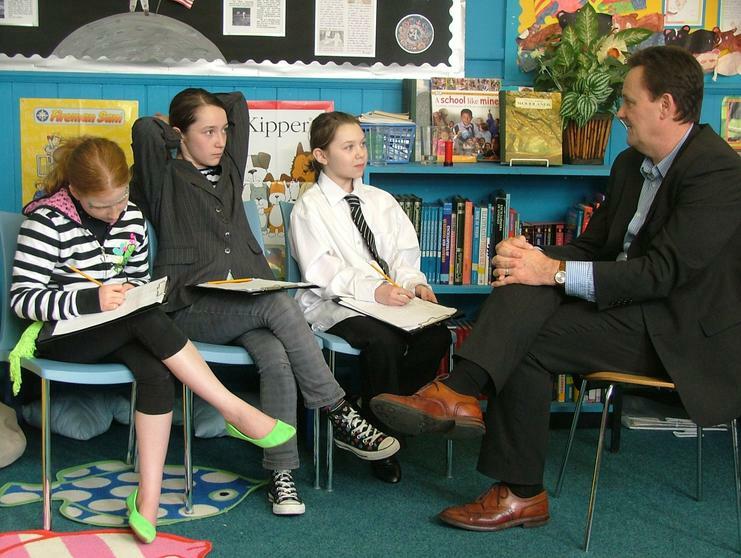 They asked me loads of questions and then asked if I would draw a picture of one of the Human Rights, I ask article 12. 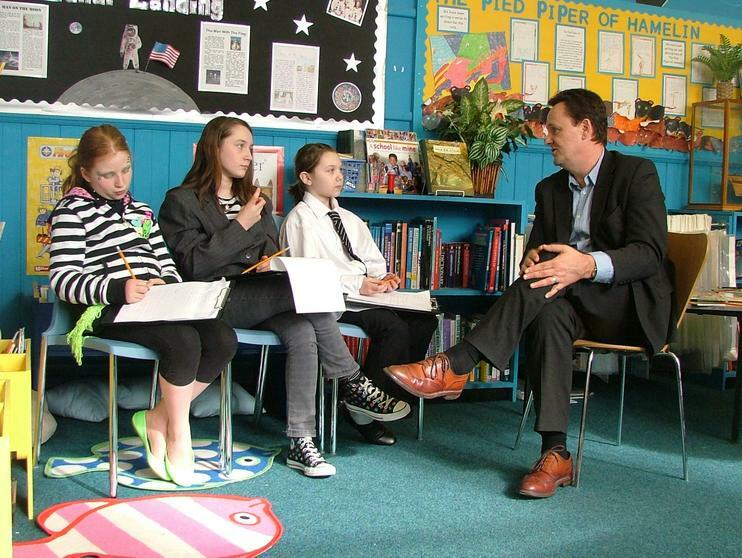 Next I was interviewed by a cross party group of Assembly Members. Then it went quiet for a month before they rang and told me I had the job. 2). Are you disappointed that most of us and our parents have not heard of the Children’s Commissioner? Yes I am very very sad. 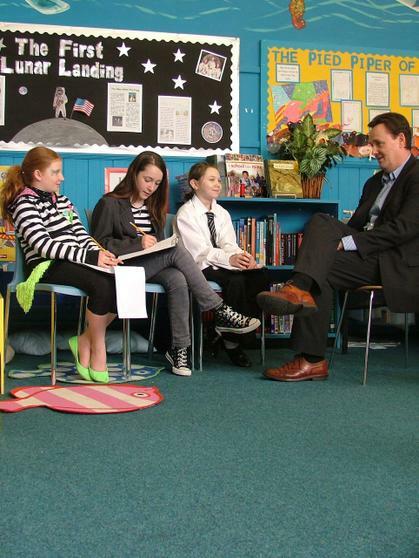 In a survey on the Funky Dragon (The Welsh Assembly Government's special website for young people) just 8% of children know about the Children's Commissioner. 3).What was your typical day? & what do you do on your day off? No two days are the same, yesterday I was at a big Conference about the rights of the child with two people from Geneva, and then in the evening I was at a Youth club. Today I just come from a meeting with ministers and now I am with you. In my spare time I like to paint pictures. 4.) What is the best memory from your childhood? What is the thing you most regret doing or not doing? I grew up not far from here in Canton; I remember being out all day playing in the Park or woods. I had a good childhood with no real regrets. I suppose I would have liked more play and less school. 5.) What are you most proud of doing, what would you most like to do? 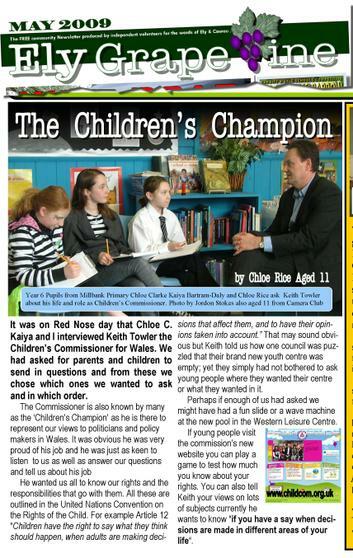 I am very very proud of being the Children’s Commissioner for Wales it is a real honour. Some people call the job the ‘Children’s Champion or Hero’ and I think it is the best job in the world. 6.) How will knowing my rights as a child improve my life? Also is it more important that we know our rights or the responsibilities that go with these rights? I think it is very important they every child knows their rights. The UK signed up to the United Nations Convention on the Rights of the Child in 1990, which means every child is treated as a human being. 7.) We live in an area of high ‘child poverty’. We always try and help others and raise funds for Children in Need, Comic Relief, Marie Curie, poppy appeal….. How much do you think the problems of child poverty are about attitude rather than income? Wow yes I think attitude and knowing your rights is important, but it is also a question of the opportunities that income provides. 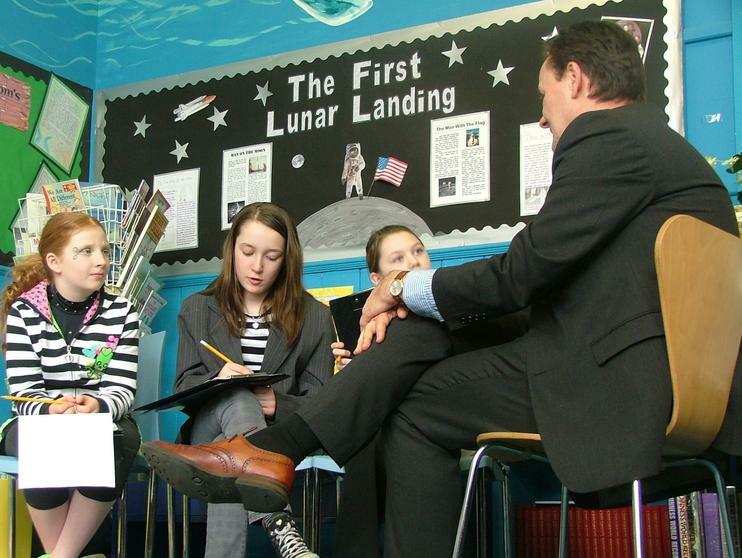 I recently talked to some children who said that half the class could not afford £50 for a geography field trip so could not go, that is not fair, and we have got to do something about it. 8.) We have done a lot of work with send my friend to school campaign. Yet a big problem in the area is truancy, how can we get children here to value their time in schools? Is sending their parents to prison a good idea? That’s another big Question, it is a real shame if children do not go to school because they do not like it or get excluded. 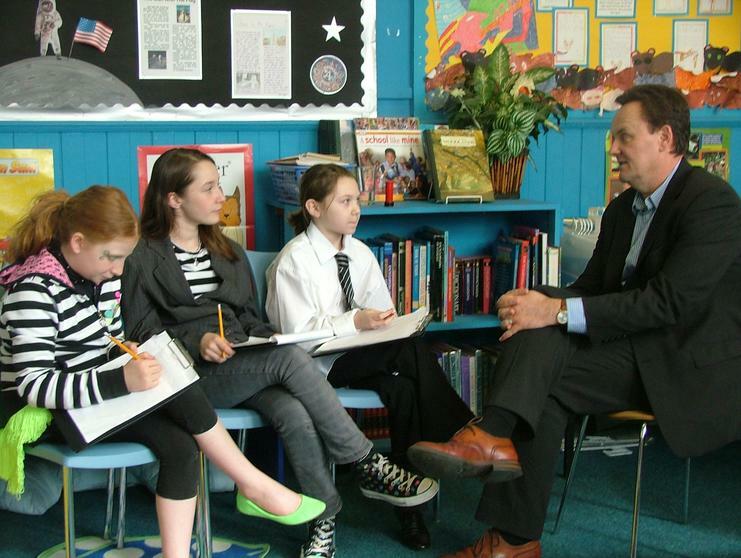 I think schools are our best kept secrets in our community. We need to promote what schools do to all parents, but I think sending the parents to prison will cause more problems than solutions. 9.) How far should our parent’s rights to choose our religion restrict our rights to education or medical care? 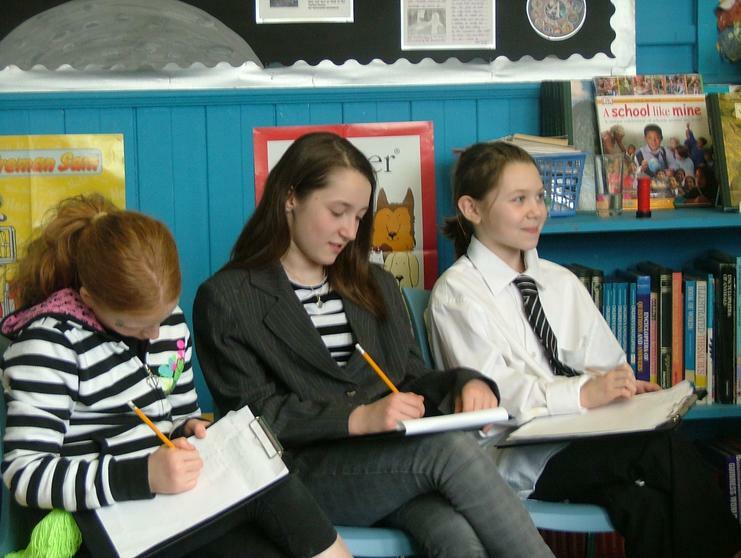 Again article 12 of the UNCRC states that "..every child should have their voices heard in decisions that affect them so that adults can work out what is in their best interests." 10.) Were you ever canned as a child? Do you think we should bring back the cane? No, not caned, but I had the ruler across my knuckles once, I cannot remember what for. 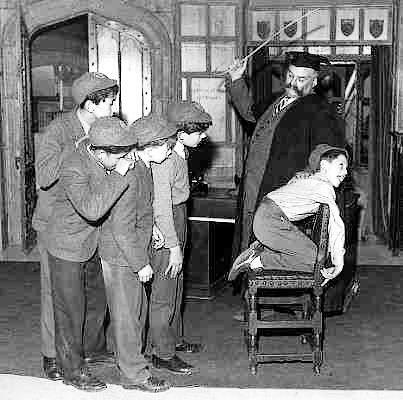 The head master (definitely a master not head teacher) had the cane hung above him in his office, but I was not aware of it ever being used. I do not think we should allow any forms of violence against children. There is a campaign called ‘Children are Unbeatable’ which has a Welsh group, and the Welsh Assembly Government wanted to ban smacking, but the national government will not change the law to stop it. 11.) Do you have a pet? Yes three! I have Jem a 2year old black Labrador, a 13 year old black grumpy cat called Patch and recently we have acquired a new stringy stray cat. 12.) What targets have you set yourself to know if you have been successful in your job? The post is for seven years and this has been the quickest year of my life. I have been looking at the ways we work in the office, we have a new more accessible website and I want to raise awareness of my job and of their rights amongst young people. 13.) Children get invited to openings of leisure centres do you think we should be invited to say what we would like in them before they get built? Absolutely, again ‘Article 12’ says you should, and often young people have the best ideas anyway. I was at one area where they could not understand why no one was using the brand new youth club, and yet they had not asked the young people themselves what they wanted or where they wanted it. 14.) Should there be a ‘fat tax’ to make junk food less attractive than healthier alternatives? Not sure that tax -especially in the difficult economic climate -is the right way. Like children Parents need education in healthy eating and exercise for their children. Play is a very important part of a healthy lifestyle. 15.) If the age we can vote is changed to 16 do you think politicians will listen to young people more seriously? 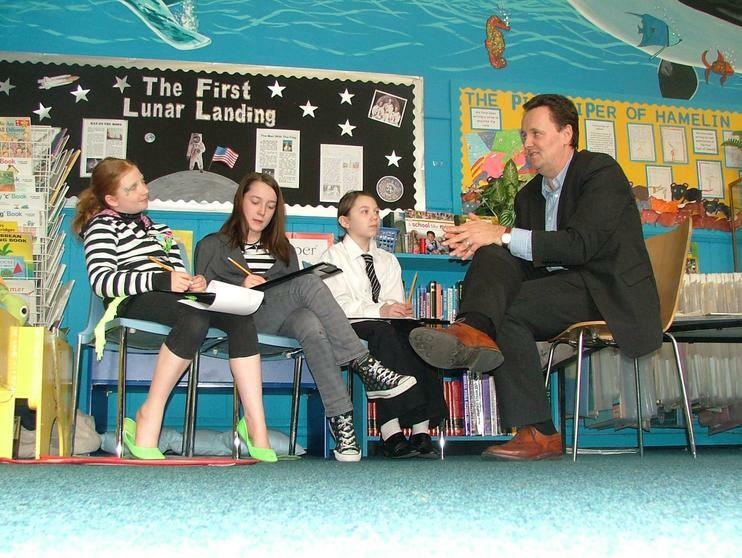 I think that Politicians here in Wales are already very good at listening to young people via things like the Funky dragon website. There are questionnaires online now. But I have no doubt that if the voting age drops then they will listen all the more. 16.) 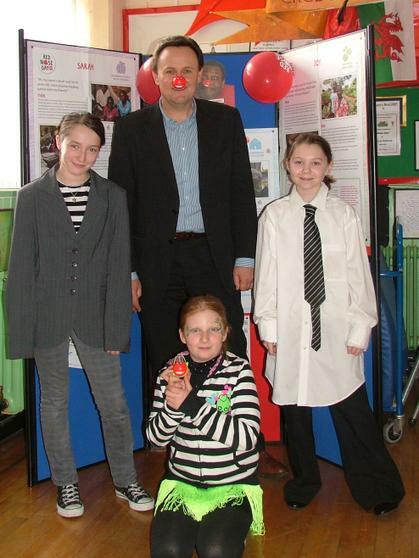 Most important Question – as it is Red Nose Day, do you want to buy a red nose or one of our cakes? Yes I do, thank you very much (unfortunately by then they had all sold out of noses, but he kindly bought a 10p cake for £2). There are some pictures below. 17.) Thank you very much is there anything you would like to add? We need to encourage young people to take an interest and become involved in issues that affect them. 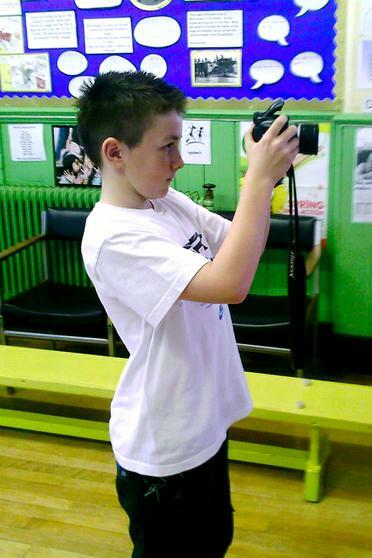 I would like to get everyone to look at our new website www.childcom.org.uk click on the button marked 'back chat' and tell us your views; at the moment we want to know what you think about a proposed behaviour code for travel to and from school. For his first year in office the children presented him with a birthday cake (albeit for a year and 11 days) and thanked him for coming in. 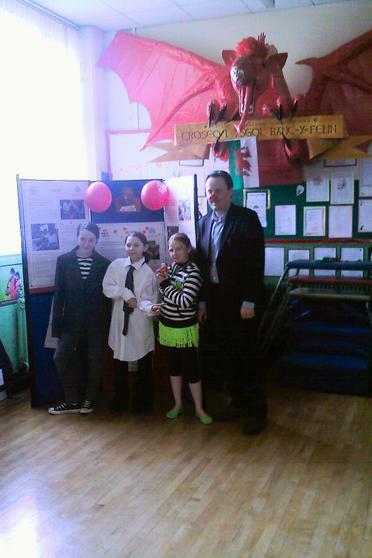 We learnt a lot about the post, a bit about government and about human rights too. 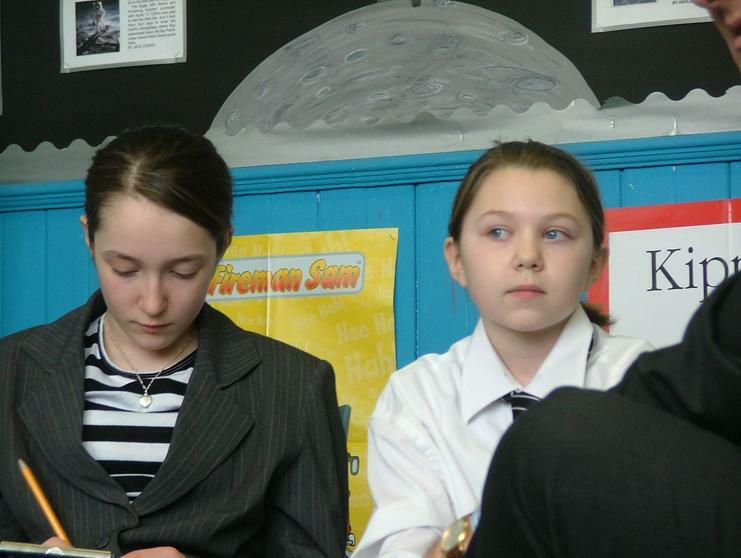 We also developed our research skills as well as listening & speaking skills. Chloe wrote a small piece for the weekly parents newsletter and also the local Community Newsletter for the Ely area on the west of Cardiff which gets delivered to 12,000 homes and businesses and we tried to submit it to the south Wales Echo too. 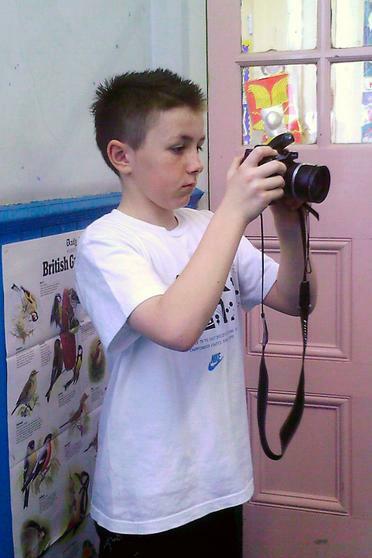 The group felt that including a link and telling them about the BACKCHAT section of the Childcom website was very important. Of course whatever we do we try and have fun and take pride in our work. 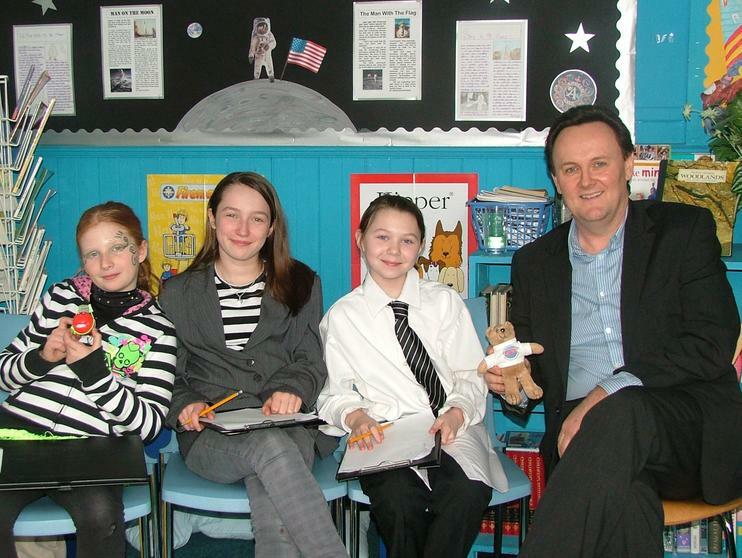 This year we also interviewed Moira a reporter from the Echo, The Chief Police Officer, our MP Kevin Brennan and the High Sheriff of South Glammorgan. There are of course loads more interviews on the old website when we get it back up.